Nusrat Imroz Tisha is a popular Bangladeshi model and actress who started her career with television serials. She is one of the supermodels for Television commercial around the country. Within a very short time, Tisha becomes the heartthrob to the young generation. Recently, her film ‘Television’ gained worldwide applause. Tisha was born on February 20, 1983, in Rajshahi Bangladesh to Enamul Haque (father) and Shahin Mahfuza (mother). Although she was born in Rajshahi, Tisha was brought up in Dhaka with her parents. She enrolled in North South University and completed her study from this university. Tisha began her performing career from Notun Kuri magazine program in BTV, which program was for children. Now, Tisha is a prominent model and actress in Bangladesh. Although she started a career as modeling subsequently she shifted into an acting career. Some people did not support her moving, but she is now a most successful actress in Bangladesh for Drama, Telefilm. Within a short time, she gains a lot of popularity especially Young people are very much fan of Tisha. 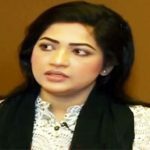 Tisha emerged as a well-known actress performing on ‘Third Person Singular Number’ film director by Mostofa Sarwar Farooki. 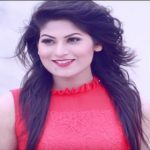 Tisha acted with Bangladesh famous actress, actor, and model such as Mahfuz Ahmed, Mir Sabbir, Chanchal Chowdhury, Jahid Hasan, Mosharraf Karim, and ATM SamsuJaman etc. On July 16, 2010, Tisha got married with Mostofa Sarwar Farooki who is one of the famous film directors in Bangladesh. nice , tnx admin for give real innformation .